"Nature in Horse: The Equus Coaching Secret"
How do we find a genuine sense of calm in the midst of fear and chaos? In a time of major transformation such as this, horses have shown that the seeds of change always begin in our relationship to self. We don’t need to do better or be better. We begin simply with our own presence—cultivating a safe environment for ourselves and getting in touch with our needs. When we can rest in personal awareness and compassionate self-acceptance, we begin to see the beauty of our own uniqueness and the intelligence of the larger patterns playing out around us. Join Koelle as she takes a deeper look at how to connect with our own needs and create an internal world of wellbeing that can help us weather any storm. 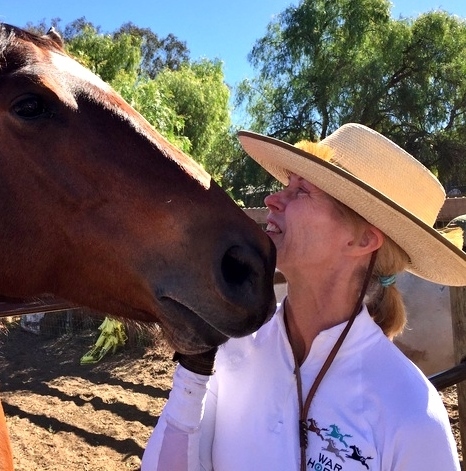 When people are supported in spending time with horses outside conventional showing and training contexts, these soulful animals reliably enact ancient equine archetypes of healing and transformation, opening deep chasms in our hearts, blasting through limiting habits of thought and behavior, invigorating mind and imagination, catapulting us to the stars of inspiration and possibility. 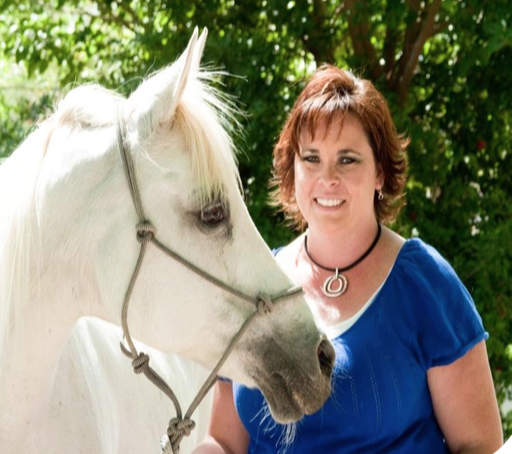 In this talk, Linda will discuss the equine archetypes she sees horses representing session after session. She will talk about each archetype's historical, mythological, and sociological significance, and how EFL with these archetypes serves and stretches our clients' learning and experience into realms beyond the physical. If you've ever heard Linda speak, you know that you will learn something new every time. Linda is discerning while amusing, insightful while nonjudgmental, curious while playful. 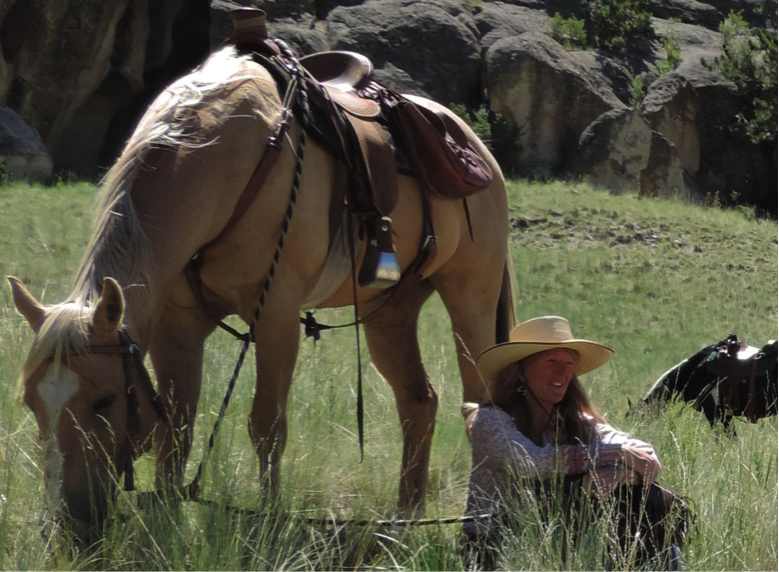 Come learn, gasp, laugh, and cry with us while you savor your dinner after a day of learning and experiential shifting with horses. Want to register for the Symposium? If you've ever heard a client say, "This horse reminds me of my [mother/brother/father/spouse]", there may be more to that than just imagination, or even than projection. Horses seem to be working with energies that emerge in our specific energy fields or systems. These energies can transcend time and space and bring information from many generations. In fact, for horses, these energies just may be part of their everyday reality, perception, and information and communication system. Systemic constellations explore new ways to look at our personal, work and family systems and allow the release and resolve of tensions within and between people. Soul connections, supports, and entanglements can be observed through the setting up and revealing of an individual’s constellation. By combining authentic representation from the within the herd, and within the group, new pictures can emerge that can allow the love to flow within the system. 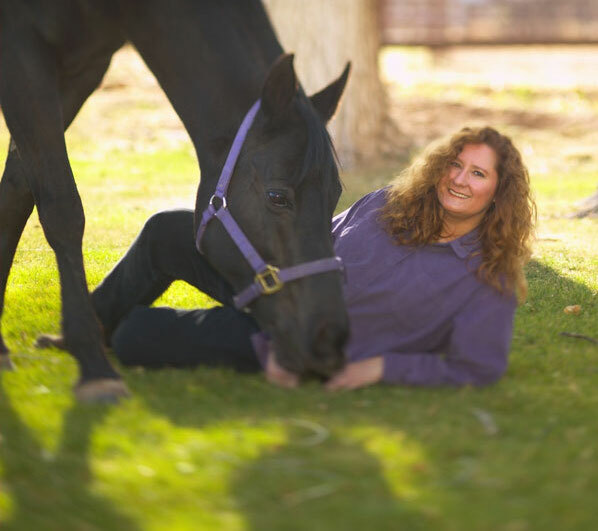 Jess Campmans, an intuitive and energy channel, works through horses to amplify the energy and clarify the insights brought through in the healing sessions she runs. 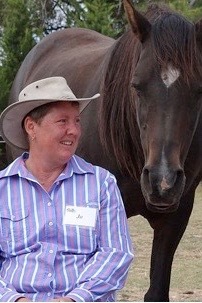 Jess also supports horses in energy healings, inviting their systems to be relaxed and in a space of love. It's hard to describe what happens, or how you experience it, other than to use words that could sound Biblical; it's like being in a state of grace from which you also attain information with which to move forward, as you "forget," really, that which you came to heal. It just becomes that irrelevant and loses all charge. One participant said, "It’s remarkable and…You've never seen anything like it…what happens when she works." Horses lay down in bliss with strangers all around. There's no reason not to; the feeling is all love, peace, and amazing expansion! If you want to get intense but calm clarity on your soul purpose in a personally deep and blissful experience, and move into it without any effort and sense of striving to change, this workshop will both shift you, and give you tools to bring a level of mediumistic power and intuition to your own facilitation processes. 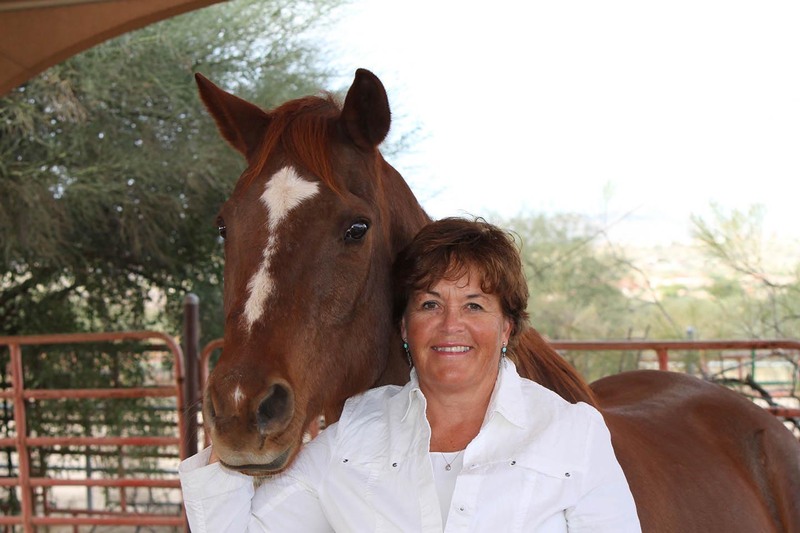 In the course of writing her two most recent books, The Power of the Herd and The Five Roles of A Master Herder, Linda delved into a number of concepts and broke them down in to sets of skills that interweave to make up a term like Emotional Heroism, which in its most simplified definition means power combined with compassion. 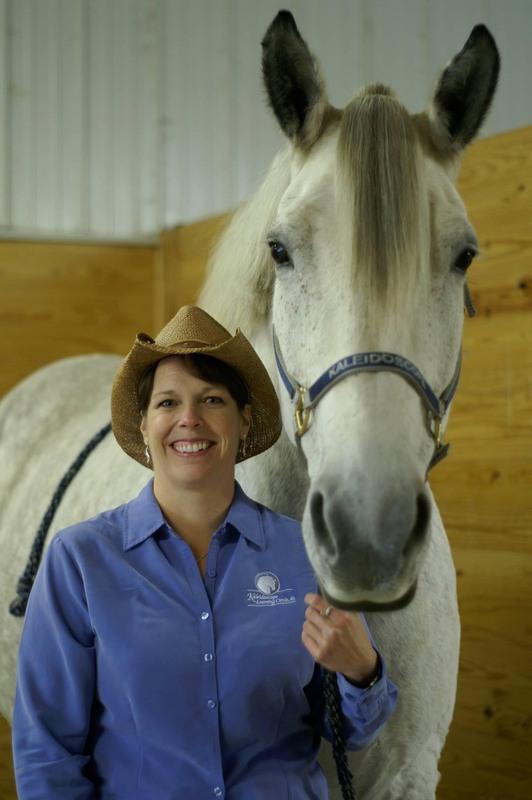 The books and the equine-facilitated activities that bring this concept to life represent over two decades of research, experimentation, and experience teaching advanced human development skills through working with horses. In this classroom session, Sheryl will build from her Tele Summit talk about a program she developed as a way to get her business known and her community of clients growing. 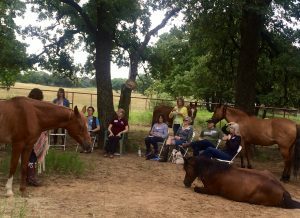 The Equine Meditation Circle quickly grew a list of over 500 potential participants and over 300 people participate in its first year. Learn how she determined her needs for a business, met those needs using simple social media processes to spread the word, and began with a basic yet profound program to introduce the public to her business. Not only is this concept powerful, but it distinguishes her program from others. Then learn how you can do this, too! This is a rich session chock full of processes, ideas, and research to help you do what Sheryl did. Truly the mark of a generous professional! Please note: this is a classroom learning breakout, not an experiential session with horses. If you’re looking for a way to get started that focuses on a coaching rather than a therapy model, the E3A model may be for you. And if you already have a practice but are looking for a consistent model that is based upon tried and true experiential education research, this session will introduce just such a model, and the organization behind it. This is an experiential session that displays the E3A model so you can see how this model allows the magic to happen for the clients, without the mystery of what to do, for the facilitator. How do we continue to live, work and play in these times of such widely opposing views? 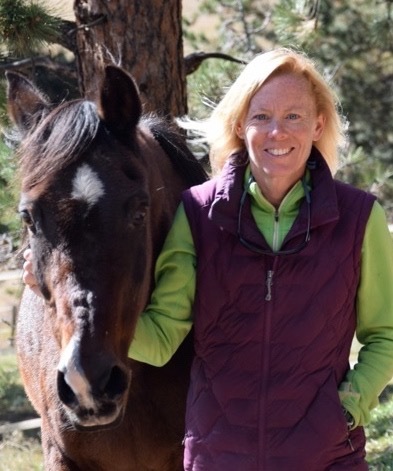 Join us in a collaborative equine experience exploring the wisdom of archetypes through story to find common ground in the variety of models and techniques that exist for equine practitioners. Why stop there? Learn how to find this common ground in your everyday life! The psycho-physiological effect of horses – what is at the heart of it? 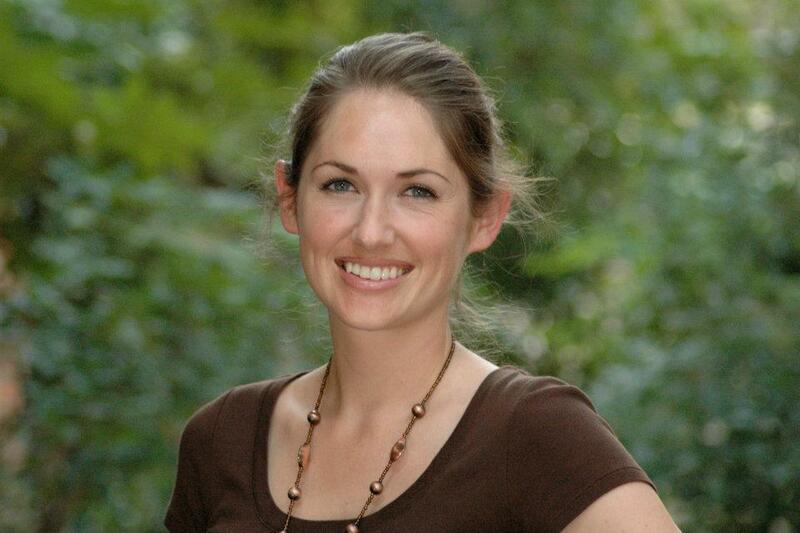 This interactive classroom talk will focus on the psychology research Saan did at Peakgrove Solutions in 2016 in conjunction with the University of New Englands, Australia. This research aimed at developing tangible evidence of physiological and psychological effects of horse-human interactions on humans. Participants with limited previous contact with horses from the general population spent time with horses from the Peakgrove herd. Their heart rate variability and mindfulness state was monitored throughout the experiment. What we discovered was surprising. 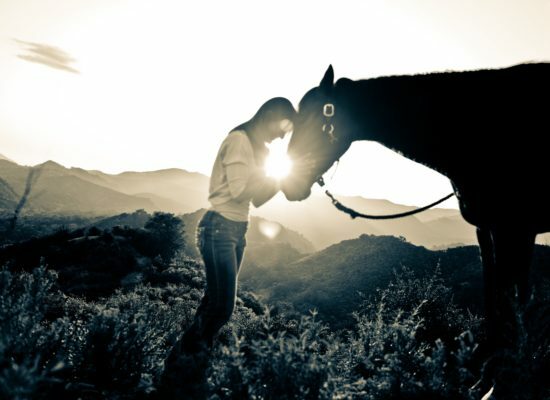 - How do we think horses effect our mind and body? - What are our ideas and theories based on? - Can this effect be measured? How? - What studies and research have been done on the effects of horses on humans? - What are the findings and main theories arising from these studies? - What did we learn from the Peakgrove herd? - What does this mean for EAP / EAL? 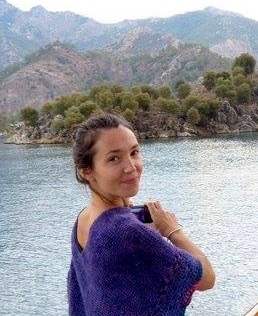 Güliz will introduce some basic concepts of a rather complex energy healing method called BodyTalk to explain intuition and emotional intelligence, and how we can refine our intuition to help us better communicate with our animals, as well as our own body. Because BodyTalk is energy medicine, and works in the morphogenic field( frequency field) every human, and animal that sits through and observes a session will benefit, it they too have the same resonant "issue". This will be an experiential session with discussion, demo(s), and experiential learning. This is is an experiential session that will allow you to experience a standard session flow that Alejandra has developed, that can serve many military and other populations of first-time EAP/L participants. Experience what the client experiences in a demonstration of this "go to" Equine Assisted Learning session plan, and learn how to weave into this flow two things: 1) ways to monitor participants' ability to engage in the session learning, and 2) knowing when, how, and in what ways a facilitator can create the learning and breathing practices that serve to activate the participants' parasympathetic nervous system responses, teaching as well as modeling self-care that is so fundamental to successful sessions with military clients. We all know that horses heal without saying a word – but did you also know that we can literally change the structures of our brains without saying a word? Rhythm has long been understood as a necessary and powerful tool in building resilient brains and bodies. Rhythm while in relationship does even more. 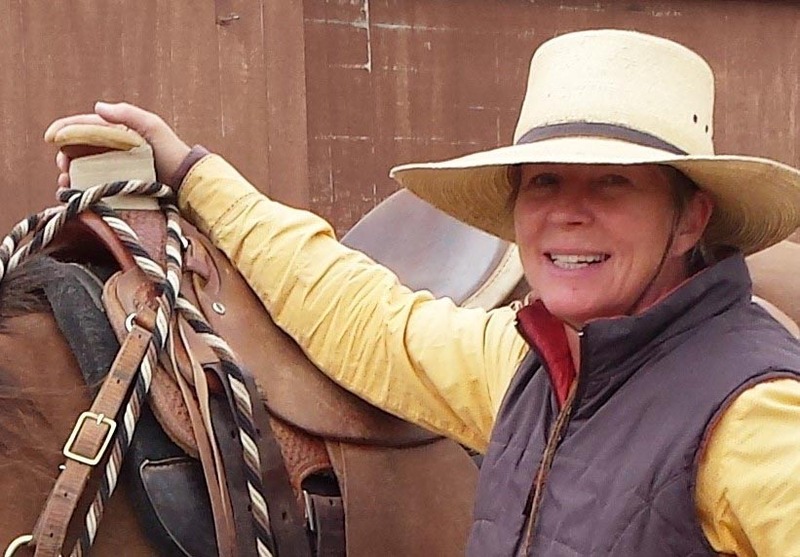 Join us to experience how mounted work with horses can be highly attuned and intentionally healing – through the power of rhythmic motion and connected relationship. This is an experiential session that will include a demo. A Chrysalis can be defined as a “preparatory or transitional state” and a Chrystal as having a “solid body.” This break-out classroom session will explore those times in our lives where we’ve known we are in one of these states of being. 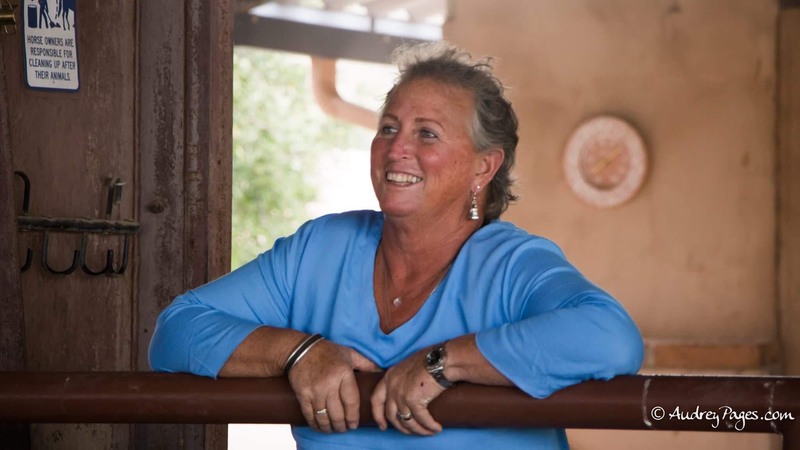 Tracy will share her current and VERY exciting journey from a “chrysalis-state” to an emerging “crystal-state” through storytelling and a visual powerpoint; then invite participants to experientially and artistically tap into learning from their own personal journeys. Together, as a large group, we’ll share and connect seeking greater awareness, understanding, and clarity. Note that this is a classroom session without horses. Beginning with a bit of anatomy so that we know why we’re learning what we learn, Barbara will introduce a handful of non-technical, hands-on massage techniques that will support any horse, including how to work with energy while touching the horse. After Barbara does a brief bodywork demonstration with a horse, we’ll practice our strokes with each other, and then practice with the horses. 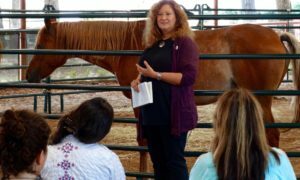 Barbara teaches bodywork to inform and empower people with some simple ways to support horses through touch. Be prepared to put your hands on horses! This provocative and insightful session is adapted from the work of Dr. Gervase Busch who authored Clear Leadership. 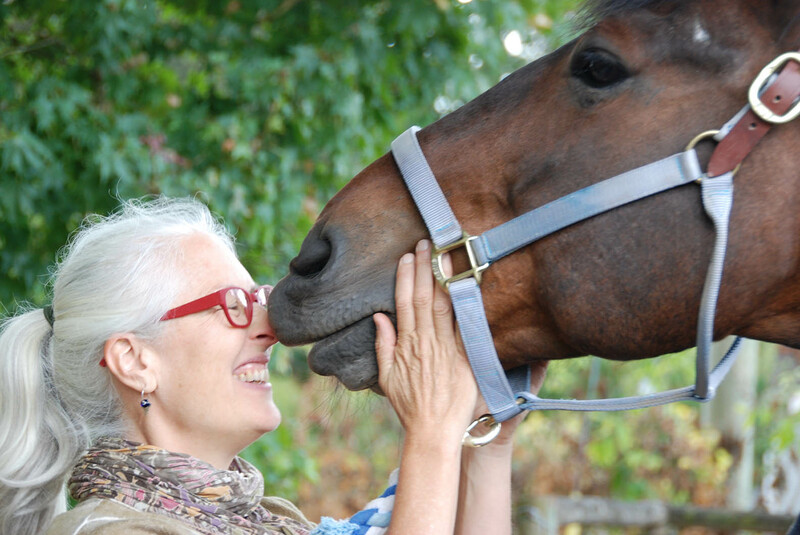 It focuses on moving from Inter-Personal Mush to Inter-Personal Clarity, understanding the way we as humans make sense of our experiences, and provides a simple yet profound model that can be used with the horses to “practice” deconstructing our experience. The model is an experiential framework with horses that will engage each participant to discover what causes them to get stuck and gain clarity on their true wants. We explore observing, thinking, feeling (both emotions and body sensations) and wanting. From scientists to other prominent figures like Dr. Jane Goodall, we are coming to recognize that not only are animals communicating with us – but they understand everything we say, think and feel. And they are proving it with astounding results in scientifically conducted experiments. In this outdoor classroom session (note: experiential, but not with hands-on horse time), we will learn how to hear animals. In addition, I’ll be showing you how to dowse – to verify your results! Horses are the best teachers of animal communication as they give us body language to back up what they are communicating. You will learn the etiquette around animal communication and then will have an opportunity to communicate with one of your own animals from a distance with a few simple yes and no questions to test what you have learned. Holy Fire Reiki will be present in the session to help remove any blocks or barriers to communication for those who wish to utilize this tool. I look forward to seeing you around the fire circle! As long as you are only doing one-on-one sessions, you are in a finite income model of trading your time for a fixed fee. All it takes is a small shift in perspective to open yourself up to income streams that are just a bit more challenging than what you are already doing, but yield up to 10x the income for the same amount of your time. The next perspective shift is opening yourself up to ways you can start to use your live, in-person sessions as the content for digital products - these include DVDs or online videos, recorded audios (teleseminars, interviews, or tutorials), or webinars (audio + presentation slides). It may sound complicated now, but Jini will show you just how accessible these tools are. Start thinking outside the parameters of your existing business and give yourself permission to explore ways of helping people that are congruent with your personality and confidence level. Jini’s presentation includes an MP3 audio for you to take home; an interview with a therapist who used exactly this same process to quadruple her income in one year - so you can have a live example of how this process can work. While our first language is a verbal, horses’ first language is energy as it is communicated through body language and place in space, as well as in less visible ways. How do horses receive the communication? Through sentience--through feel. Our own species capability to read energy is limited and veiled by our cultural beliefs, values, and conditioning away from trusting the body's wisdom. 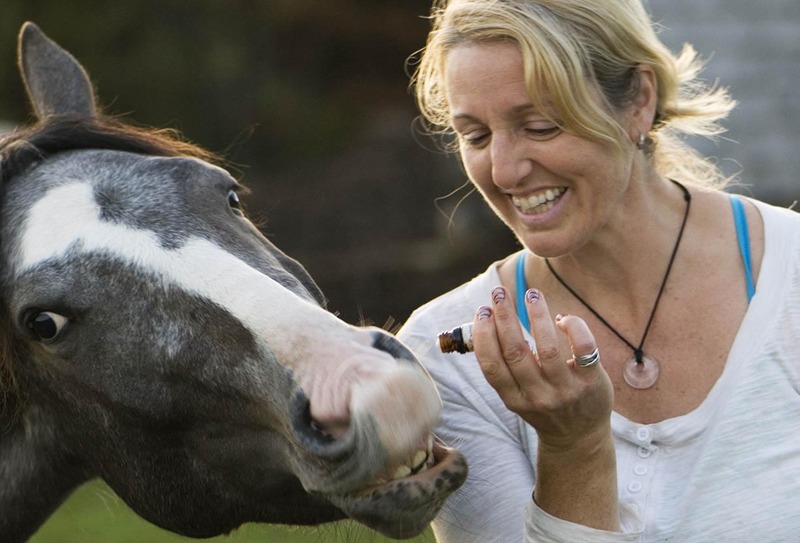 This experiential session provides an opportunity to begin to tap into that energy that horses use as their primary way of seeing and communicating. Explore energies that have a particular “feel”, and learn ways to test whether these energies are consciousnesses, emotions, real, or projected--in other words, how to discern what energies are behind a client's concerns and challenges. 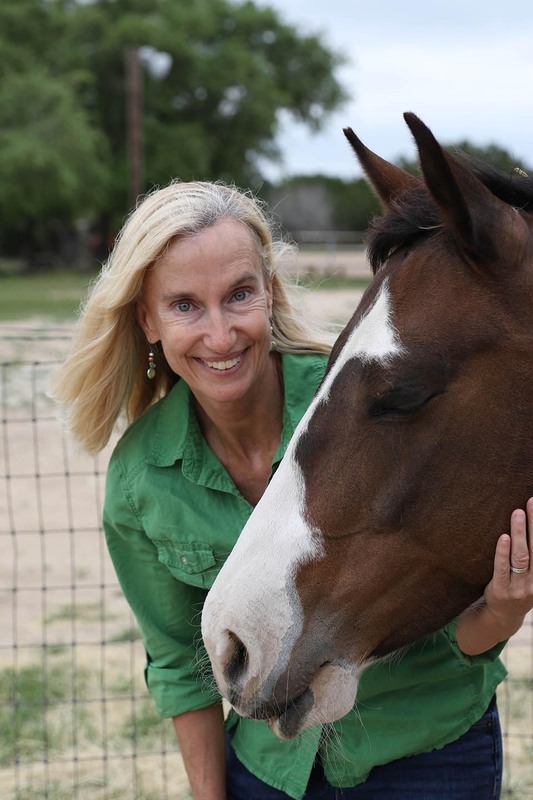 This session will deepen your understanding of sentience, your appreciation for the species intelligence of horses, and of the world--both physical and energetic. 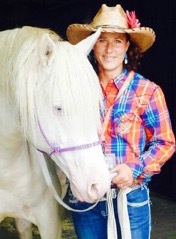 Be ready to explore your own spiritual frontier with the help of horses! Humans emit energy. Based on the idea that energy extends beyond our physical being we leave traces of it behind. Subconsciously, energy is placed into the different parts of the time line “props.” The left over energy can be found in those objects and the horses respond to the energy. The time line activity is done often in treatment of mental health issues to illustrate the life course. With its visual method of assisting in the understanding of the significant events which contributed to the longevity of unhealthy coping mechanisms, clients are able to see their lives mapped out. Discussing the connections to past and present behaviors and how they may interconnect with future actions can be uncovered. When observations are shared about how the horses interact with the different elements of the timeline, stories begin to unfold for the participants. It is in these stories where their truth can be found in terms of both past and present behaviors. Lastly, participants will be able to better identify how their own stories are projected onto the horses through observations, journaling, and sharing during the group process. Saan & Jo lay out the bones of a retreat they run and on as well as discuss the findings of their outcomes-based research on Equine Assisted Buddhist Mindfulness Retreats. Learn how Saan and Jo structure their retreat to add an amplifying effect to this traditional retreat structure within this Tibetan Buddhist tradition of which Saan is a trained and certified practitioner. This session will include both structure and how-tos, as well as hands-on experience with some of the activities, so you can experience the power of this model as you also gain tips for how to plan, structure, and facilitate mindfulness retreats or sessions of your own! Together we will both experience, and learn, about small-group learner-centered programs. This interactive session will engage participants through experiential learning in partnership with our four-legged facilitators, story-telling, small group dialogue, handouts, and large group debrief. Participants will identify beliefs about small groups and learner-centered programs allowing for self-awareness, alternative approaches, and transference from the Symposium to practical application in your world. 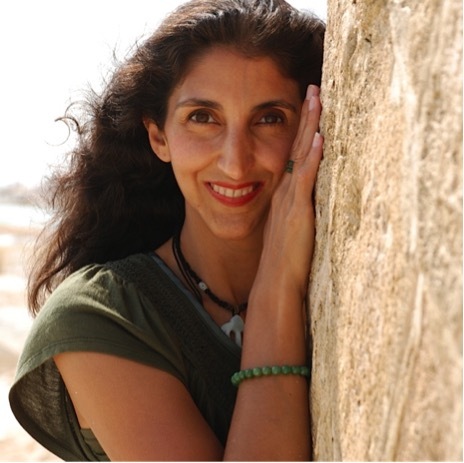 In this experiential session, Shelley will begin by discussing the way intention and soul messages come together to create vocational visions through the use of a ritual process called a Journey Ride. Lean how the Journey Ride is structured and can be facilitated for clients' vision development as well. 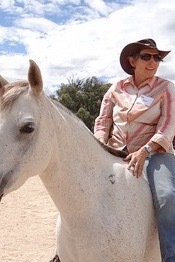 Then go on your own journey ride with Shelley as your facilitator! You will work on receiving a vision that you can then begin to follow through on to bring into reality. 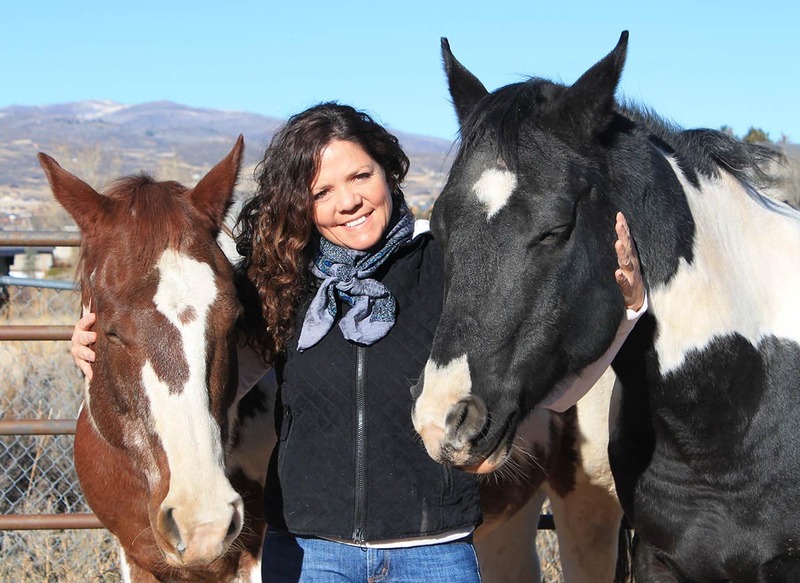 Jess Campmans, an intuitive and energy channel, works through horses to amplify the energy and clarify the insights brought through in healing sessions. 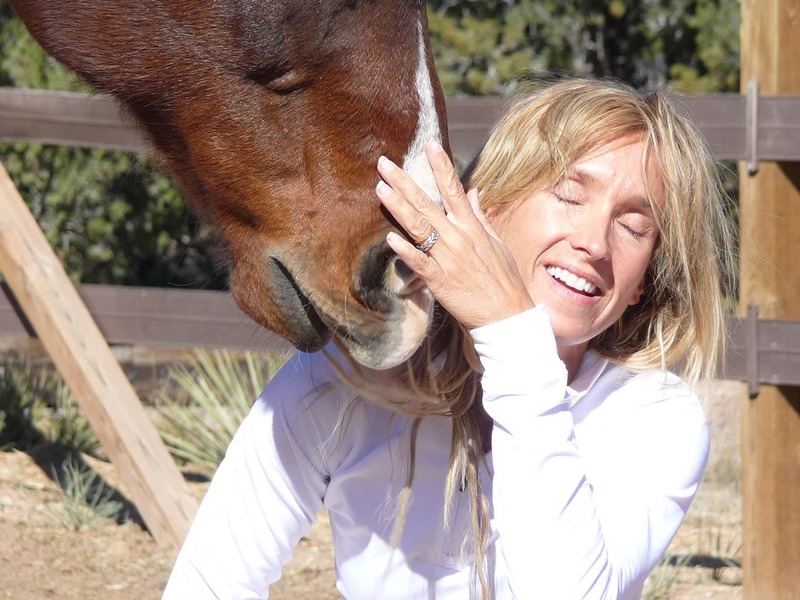 Learn to facilitate with horses utilizing intuition development and energy healing practices that enhance the flow in your partnership with horses. In this experiential session, Jess will provide both opportunities to experience these processes as a participant, and offer tools that help you develop your own capacity to intuit information and channel energy. 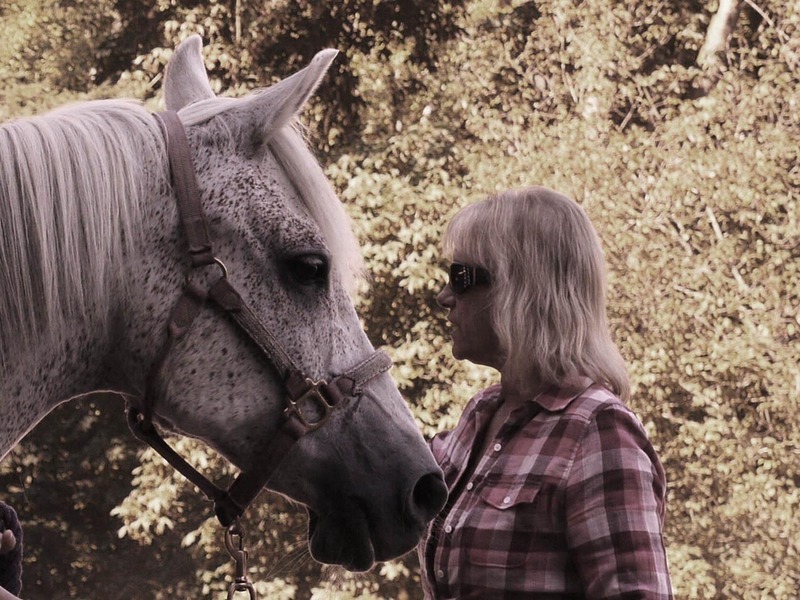 This experiential exercise with horses will focus on how both clients and healers face and heal our fears. 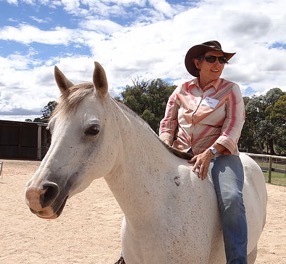 Horses are natural teachers of self-regulation. A brief history of Steven Levine’s theory regarding fight, flight, or freeze will be presented. Participants will share their own experience, and several individuals will be chosen to work in the arena in demonstrations of the exercise. 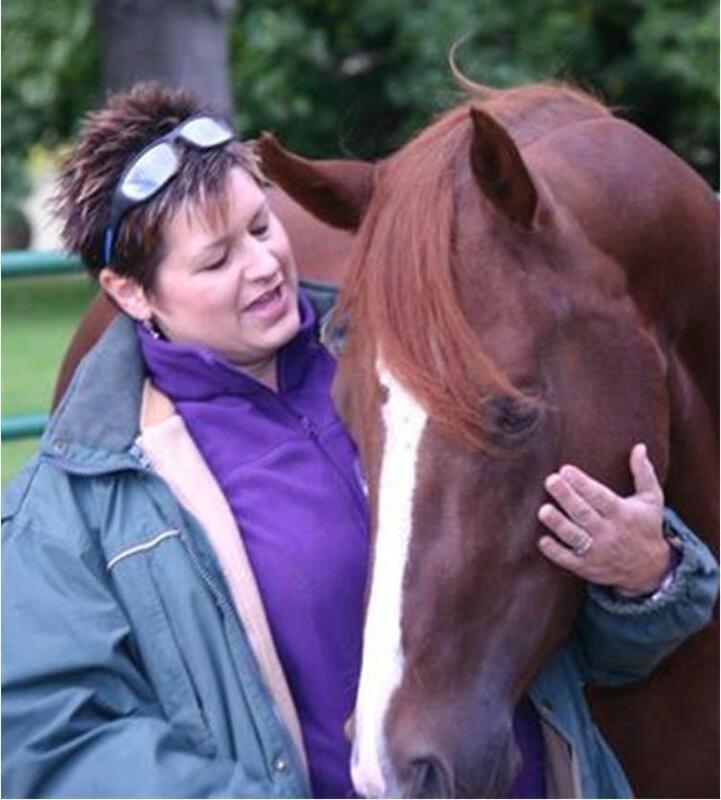 Therapeutic interactions incorporate the power of the horse, the clinical skills of the therapist, and the hopes, dreams and challenges of the person working with the horse. At the end, the entire group will experience an amazing ‘you must believe’ moment. How to write and publish a book and why you should! The easiest (and cheapest) way for a potential client, or website visitor, to get to know you is by reading your book. A book positions you as an expert and also allows you to draw the client into your world, to give them a taste of how you work, what you offer, and how an experience with you might shift their experience of life. Your book can be any length that feels good to you - that allows you to tell your story; or one of your stories. It can be a printed book, or an eBook, or both. You can give it away for free (as an Opt-In/Sign-up free gift for visitors to your site), or you can charge for it - or both! Jini (author of 17 published books) will lead you through a surprisingly simple 3-step process to get yourself and your story out there, so you can help more people. What do people have to say about the Symposium? I'd like to see the different ways I can attend!